When purchasing a princess diamond ring, it may be helpful to remember that you should avoid diamonds with a higher table percentage than depth percentage. 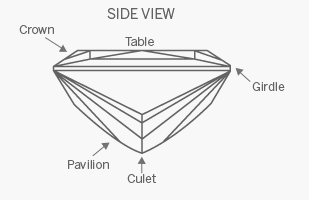 The table is the uppermost surface of the diamond that runs flat across the top, parallel to the girdle. 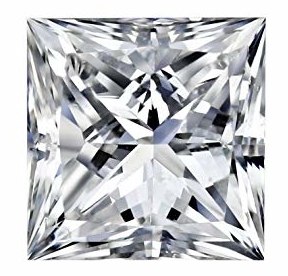 The depth, on the other hand, is the distance between the lowest and highest part of the diamond. A princess diamond ring can have more of a square or rectangular shape, and the style that you choose depends entirely on your preference. However, the more rectangular that a princess diamond ring is, the lower the price in most situations. Once you’ve determined the exact cut, clarity and color you’d like, it’s time to pick a setting that will make your diamond sparkle and shine!